Flash now played on iPhone and iPods/iPads. Skyfire converts the flash file to HTML 5 which Apple see as the future for media content. 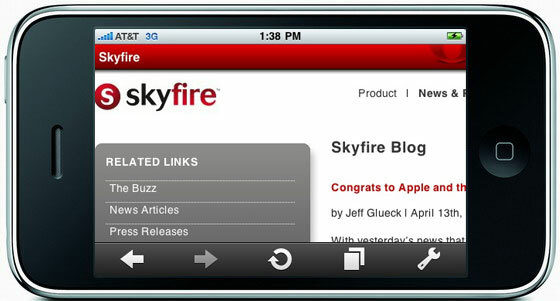 Built around Safari With help from apple Skyfire is fast, boasting some interesting features.